YUCK... It sure is yucky out this time of year. It seems like we haven't seen the sun in months, and it makes it even harder to boost the curb appeal if you're planning or trying to sell your home. But, all is not lost. 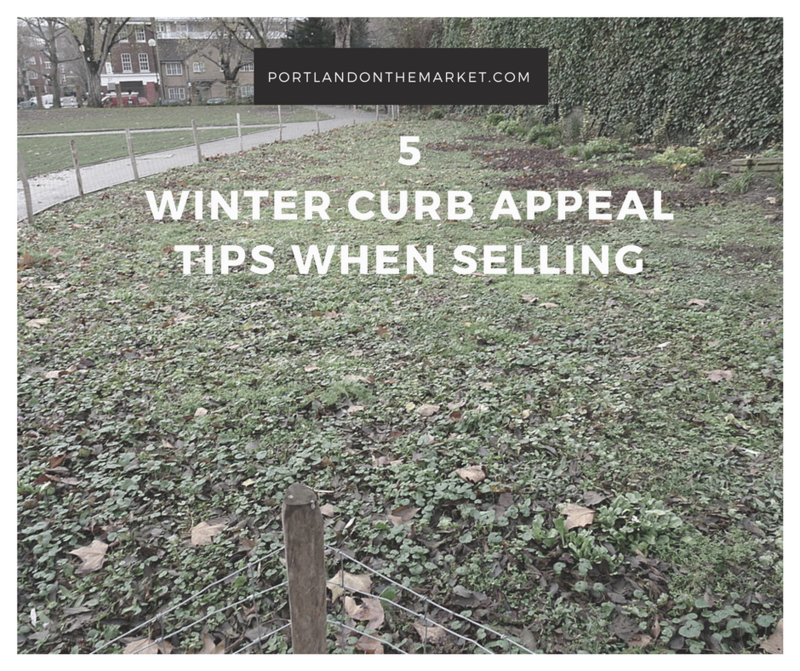 There are some very clever things you can do to boost the curb appeal even in the winter months when things are wet, bare, and just plain ugly. One of the easiest things to do is just keep the front yard looking clean. This means sweeping up any leaves or debris, and keeping a clear pathway to the front door. Keep bushes and plants trimmed away from walkways and stairs so that people can actually see the house. The landscaping may not be that attractive, but you want people to focus on the house itself. You may not be able to paint the entire house this time of year, but if you can paint the trim, repaint the front steps or railing, and repaint the front door with maybe a new kickplate. It can do wonders for the front curb appeal of your house. You can never have too much light and because we have such dreary days around here and the days are shorter, it could get dark before people can actually view your home. Make sure there's plenty of light living up to the front of the house, along the walkway, and even near the back of the house. Motion sensor lights are great for this. If your local nursery is still open this time of year, see what plants they have available that can add some color to your porch. Chrysanthemums, early pansies, and even some nice greenery can brighten up the front of the house. Put them in a couple of pots and stay with one color so it really gives a dramatic look to the front of the house. Thatching a lawn might not look great for the first week or two, but it will start to fill in once new grass grows. If you're not planning on selling for a month or so, start now by thatching the lawn, planting new seed, and by the time you list, you'll have a nice, green lawn. There are a few things you can do this time of year and every home is different and unique. If you're planning on selling within the next month, give us a call. Would love to discuss specifics of your home and how to make it shine this time of year for a fast sale.